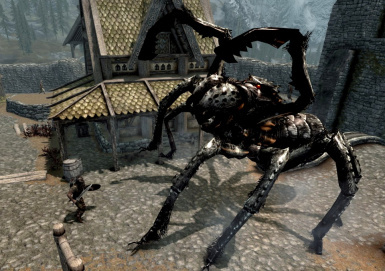 Conjure a black spider to poison and rend your enemies. Now with functioning follower version! 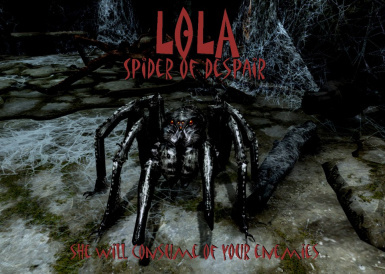 Call forth Lola, the dark brood of Loloth to consume the flesh of your foes. 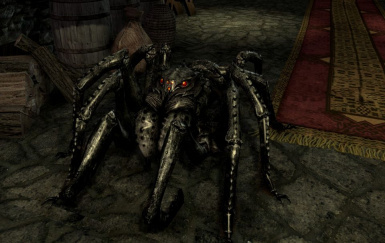 Lola is a black spider with beady red eyes, summonable via a spell that can be found in a "likely place" within the Bleak Falls Barrow. Alternately, use the console command "player.addspell 57000d64". If for some reason that fails, try "help lola 0" and use the spell ID it gives you. This spell was designed as a companion piece to Zazemel's Drow Race BETA. I highly recommend using it with a Drow character. NEW: Optional "follower" version. 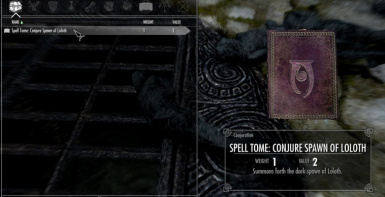 This version does not have the Conjuration spell although you could, in theory, use both versions at once. 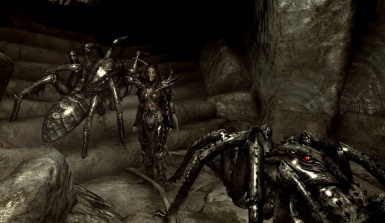 Optional - Lola Companion 1.2: She now acts as a proper follower. If you activate her, she will join you, assuming you have no animal follower already, but she won't have much to say about it. She will, from that point, follow commands (wait, follow, dismiss). 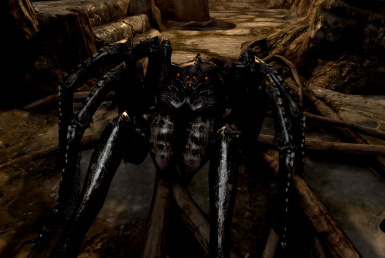 Optional - Lola Rider 1.0: A rideable mount version of everyone's favorite spider of darkness. This is an early version. You'll find Lolann, sister of Lola, parked outside Morvath's Lair (near Morthal). Known issues: no jump, mounting animation is a little off. 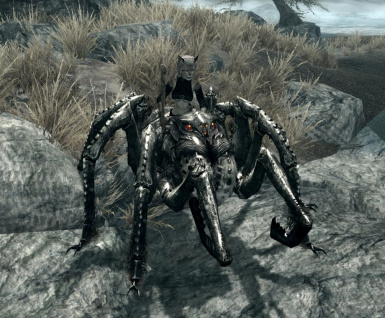 Little-known Fun Fact: i am terrified of spiders.